Bruno Nordberg founded the Nordberg Manufacturing Co. in 1886, and he achieved his first recognition and success in steam engines. Born in Finland, Nordberg emigrated to the United States with little in his pockets around 1880, eventually settling in Milwaukee. He found work at age 22 as a draftsman concentrating on Corliss steam engines, but his career took off when he formulated the idea of a poppet valve engine and a cut-off governor. But at a high speed, Pohjoismäki says, more efficiency is achieved if the flow of high-pressure steam is cut off and the high-pressure steam already in the cylinder is allowed to expand through the end of the stroke. According to Pohjoismäki, cut-off governors helped to increase the efficiency and safety of the steam engine process. Steam engines were used to operate pumps, compressors, hoists and ore stamps, he adds, and Nordberg’s design reduced downtime and increased safety for mines. “Nordberg continuously improved his early designs and found new ways to utilize steam,” Pohjoismäki says. To market and sell cut-off governors, Nordberg persuaded a friend, Frederick Hornefer, to finance a patent application, and he partnered with an entrepreneur named Jacob Friend to launch the Bruno V. Nordberg Co.
Nordberg’s company quickly established itself in the field of steam engines, and it grew mightily through the first third of the 20th century. But just as technologies change today, they changed then. Steam power gave way to diesel, and although Nordberg never felt steam could be replaced, he completed a license agreement in 1914 to manufacture diesel engines. “All leaders realize a constantly changing business environment will impact their ability for continued success,” Pohjoismäki says. “Great leaders are the ones who anticipate these changes and have the willingness to accept them as something other than a passing fad. By 1922, Nordberg had built 27 engines for Phelps-Dodge. And despite his death two years later, Nordberg had set the path for his company to venture into crushing, grinding and screening equipment for the aggregates and mining industries. In the early 1920s, Nordberg’s company was already manufacturing horizontal disc crushers for Symons Brothers Co. Nordberg’s company later acquired the Symons cone crusher business. 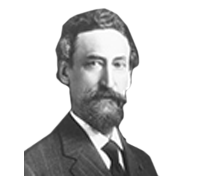 In his time, Nordberg held 58 patents on various machines and devices to his name. He was a member of the American Society of Mechanical Engineers and the American Institute of Mining Engineers. He authored several papers on engineering subjects. Nordberg was active in his company throughout his life, and he was described as most happy when working at his drafting board. “As an immigrant from Finland, Bruno Nordberg had little more than his engineering knowledge and willingness to work hard,” Pohjoismäki says. “He might have easily been content with his first job as a draftsman at the E.P. Allis Co., but he had an idea to improve the efficiency of steam engines, and he had an entrepreneurial spirit. Today, thousands of rock-processing products bearing Nordberg’s name are still in operation at quarries around the world, and the Nordberg name remains a source of pride for the people at modern-day Metso. “Nordberg’s name is still synonymous with highly efficient, innovative crushing and screening solutions,” Pohjoismäki says.